Whether you've been injured in an auto or motorcycle accident timely care and our tailored approach can help you recover more quickly and return to the things you love. Call us at 352-340-5946 today. For more information or to schedule an appointment with our Spring Hill chiropractor or physical therapist, call 352-340-5946 today! Dr. Sam Robinson is a chiropractor serving Spring Hill, Brooksville, Hudson and the surrounding communities. 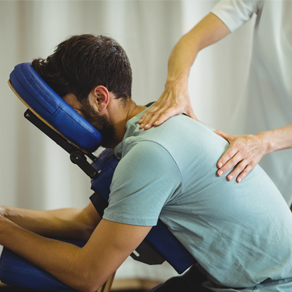 Our chiropractor, physical therapist, and the rest of the friendly team at Robinson Chiropractic & Physical therapy are dedicated to chiropractic and physical therapy solutions to target your unique needs, whether you are suffering from back pain, neck pain, shoulder pain, headaches, or even just muscular tightness and tension. You may need pain relief after suffering an accident, experiencing an injury, or if you have a specific condition such as chronic back pain or a spinal condition. Even if you just want to improve your overall health, our chiropractor and physical therapist can help you achieve your wellness goals! Please visit the testimonials page to see what our patients are saying about our Spring Hill office and getting regular treatments. At your first visit to Robinson Chiropractic & Physical Therapy, Dr. Robinson and our providers will explain the science behind how chiropractic care works, and give you a full evaluation to see if chiropractic or physical therapy care is right for you. If there is a good fit, we can develop a plan of chiropractic or physical therapy care that is specific to your condition and health goals. If you have not been to a chiropractor or physical therapist before and want to find out more, please email us or call 352-340-5946 to receive the answers to your questions from our experienced team. We also welcome referrals, so we invite you to share our chiropractic and physical therapy information with your friends and loved ones. If you would like to stay informed about the latest in chiropractic or physical therapy care or if you want to start receiving free articles about health and wellness news, subscribe to our bi-weekly newsletter, even if you are not a patient. We also offer a community content area, which includes wellness articles and other healthcare resources. Sam Robinson is a Spring Hill chiropractor who serves Spring Hill and the surrounding communities in FL .Sam Robinson uses chiropractic care to improve the health and wellness in all areas of patient's lives, whether they are having problems with back pain or neck pain, or just want to start feeling better when they wake up in the morning. Dr. Robinson takes a 'whole person' approach in chiropractic care, which means looking for the underlying causes of disease, discomfort, and pain, as opposed to just treating the symptoms. "Excellent chiropractor I can't recommend them enough! Very friendly and accommodating and knowledgeable"
"I went there a few days ago and very impressed with the Dr. and whole office staff. great adjustment and takes his time with you. i walked in, in pain and out feeling GREAT.. TY!!" "The absolute best Chiropractor ever!! I am so thankful I found Dr. Sam and his team. They treat you like family and truly care. I finally found the perfect chiropractor"